People often think of food allergies as a childhood disease, where 1 in every 13 kids have a food allergy. And, much attention DOES need to be paid to the developmental years to keep young food allergies patients safe. But recently, Dr. Ruchi Gupta and her research team reported that 1 in 10 adults have a food allergy in the United States – that’s 26 million adults. This more than doubles previous estimates putting the total number of patients with food allergies over 32 million people in the US. Beyond the fascinating information presented in her study. This has tremendous implications outside of the medical field. This number changes the discussion in a variety of industries who should now be taking food allergies into account in a way they may not have before. But, these numbers aren’t exactly representative of all those who are affected by food allergies. Parents, siblings, co-workers and friends all make decisions based on their companion with food allergies. And, when handled well, those experiences flying, visiting amusement parks, staying at hotels, eating in restaurants, attending events, etc, leave a lasting impression that breeds customer loyalty. Companies need to carefully consider food allergies and implement best practices to gain and retain this kind of loyalty. If 32 million Americans suffer from food allergies directly, it may be safe to assume that as many as 120 million Americans are affected by them indirectly by enjoying time with allergic friends, family and co-workers. Mistakes with food allergy do not only lead to uncomfortableness (such as hives), as many who do not have food allergies sometimes believe. They can lead to serious emergencies as reactions vary from simple hives to fainting, throat closing, respiratory distress and cardiac issues and need to be taken very seriously in order to be managed properly. This requires education across the board and thoughtful policies that offer patients a safe experience. What can companies do to offer safe options to those with food allergies? Where can they be more transparent? What can they do educate their employees? How will they prepare for a food allergic emergency? It will be interesting to see which companies embrace these statistics and what they do to do be sensitive to this epidemic. It’s the beginning of the school year! Now is the perfect time to discuss best practices to keep kids with food allergies included in the classroom and beyond. What are the best ways to keep a child safe at school? 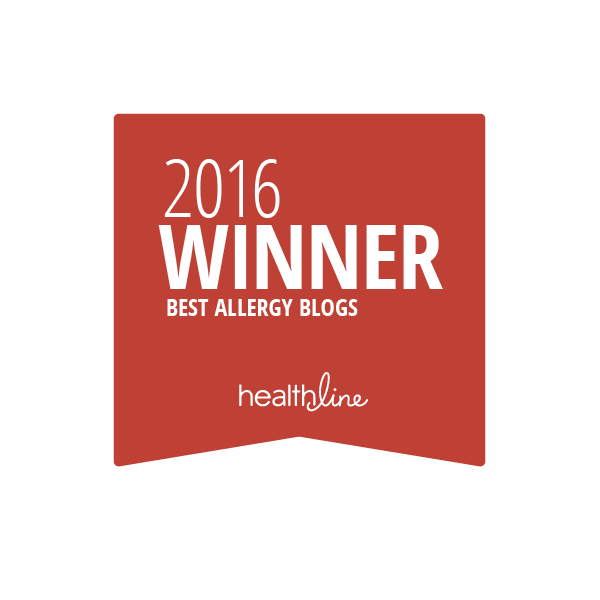 How is teaching a food allergic child different from one without dietary restrictions? How can teachers and parents better communicate to ensure a productive year together? One of the most difficult and important places to manage food allergies is at school. Parents, faculty, staff and administrators want and need to keep food allergic students physically safe during the school day – a place children spend the largest portion of their time outside the home. Inclusion at school is the “safe place” they need to develop psychologically and socially. Where do schools begin and what factors should they consider? but they should also learn about the perspective of their food allergic students who experience anxiety and exclusion at higher rates than their peers. I urge all schools to consider adding Food Allergy Education to their Health curriculum. Students are exposed to the idea of food allergies without understanding exactly what that means. Understanding food allergies is shown to build inclusion and community, stoke empathy and protect peers in students pre-K through high school. In less than 20 minutes, a teacher can cover a basic lesson plan on food allergies and reap all of the above benefits in his/her classroom for the entire year. Exclude the FOOD (not the CHILD). Eating In the Classroom: Parties, holiday celebrations, and special events should be as inclusive and safe as possible. I’ve heard from many families across the country whose children have been sent out of the room during class parties because their allergen was being served; children who are sent to eat with the school nurse instead of their friends; children who are told to stay away from the group who are eating an allergy-laden snack while they watch. When such a thing occurs, the message that student receives from their teacher is that their classmates’ enjoyment is more important than they are. At such times, the student will struggle with feeling of self-worth and the [correct] impression that their teacher doesn’t know how to handle food allergies. Eating Outside of Class: Prepare for field trips by remembering food allergic students. Snacks and lunches need to be safe. And, don’t forget to bring emergency medication (and store it with a chaperone AT ROOM TEMPERATURE). The best way to keep these special learning experiences special is with advanced preparation and by communicating with parents and the students directly to address concerns and implement solutions. Think through the full school day for an allergic student. How will they fare on the bus ride home? What is the school’s policy on eating on the bus? Is it enforced? Is the bus driver trained and prepared to deal with an allergic reaction? 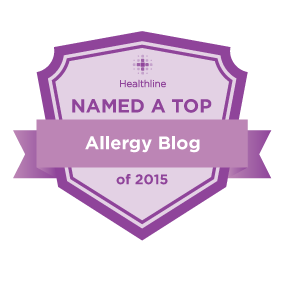 Is an allergic student allowed to carry their own epinephrine? How does the driver handle bullying on his/her bus? Addressing the entire school day from door to door will make a child with food allergies feel protected and looked after. Bullying by Peers or Adults: Exclusion, name-calling or verbally doubting sets an example for the other students that such behavior is acceptable and results in stigmatizing the food allergic student. Bullying is another serious problem for all students but can have serious and even deadly results for students with food allergies. Read the statistics here to understand the scope of the problem which is often based at school. Uninformed Teachers: Students with food allergies are savvy about their condition and quickly note when others aren’t as knowledgable. Teachers who demonstrate a lack of knowledge do not instill confidence in even the youngest food allergic child. Students who are concerned about surviving the day in their classroom, cannot learn. Creating “safe zones” is psychologically beneficial to students with food allergies. One such example is a peanut-free table or a classroom that bans a certain food for the health and protection of a student’s life. Another method is to establish a special line of communication between the teacher and student so they can express their concerns privately. 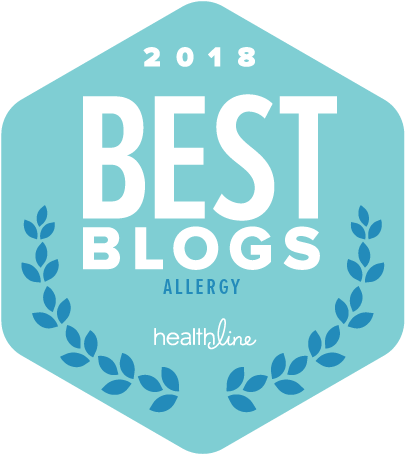 I recommend that teachers meet with a food allergic student and their parents to acknowledge that they understand the parameters of that child’s allergy, that they take it seriously, and agree upon the best method of letting parents know about upcoming events so that the family can prepare. Solid and Protected Food Allergy Policies: Schools must create a safe environment for students with life threatening food allergies. This protection begins with a comprehensive food allergy policy – one that balances safety with an emphasis on maximum inclusion. The policy and procedures regarding food allergies need to be widely communicated, easily accessible, consistently applied and protected. Inclusion means everything to food allergic students who already feel different from their peers. Inclusion gives students a supportive platform from which to conquer the world. Schools need safe places for kids to learn, socialize and play. They are more than a place to grow academically; schools should be a space for students to blossom psychologically as well. A lot of thought should go into how to include every child in the classroom – it might make all the difference for your students AND their families. The holidays are just days away! Try giving a book that a family with food allergies will treasure. Or, donate a book to your child’s classroom or school library! Despite the growing number of cases, food allergic kids often feel alone with their allergy. It is so important for kids with food allergies to see this aspect of themselves reflected in literature and elsewhere. Plus, these books are great teaching tools for both a child with a food allergy as well as their siblings and classmates! Beautifully and colorfully illustrated, The Bugabees is a story about eight insect friends who each have one of the different Top 8 food allergies. They talk about their need to stay away from various treats and lightly touch on allergic symptoms they might experience. Importantly, the bugs each repeat a mantra for kids with food allergies which reinforces that they can have fun without their allergen! My daughter immediately noted that her brother has food allergies and was singing along with their rhythmic mantra by the end! 2. The BugyBops – Friends for All Time is the sequel in which the Bugabees friends learn about why their friends avoid certain foods, what an EpiPen is and why it’s important, and what they can do to keep their friends safe. This is a fantastic companion book to The Bugabees! I would highly recommend for a classroom visit and school library. Written by two pediatric allergists, the story of Joey Panda – a kid with multiple food allergies who is nervous about his first day of school, a situation that many food allergy families face. To Joey’s surprise, not only does he find out that many of his new friends are already familiar with food allergies but that he has the knowledge and power to become a superstar. This is story that acknowledges a child’s fears about going to a new school with food allergies and turns it into a story of empowerment. Just the kind I love! Ben has a peanut allergy. Sometimes he finds it hard to talk about. 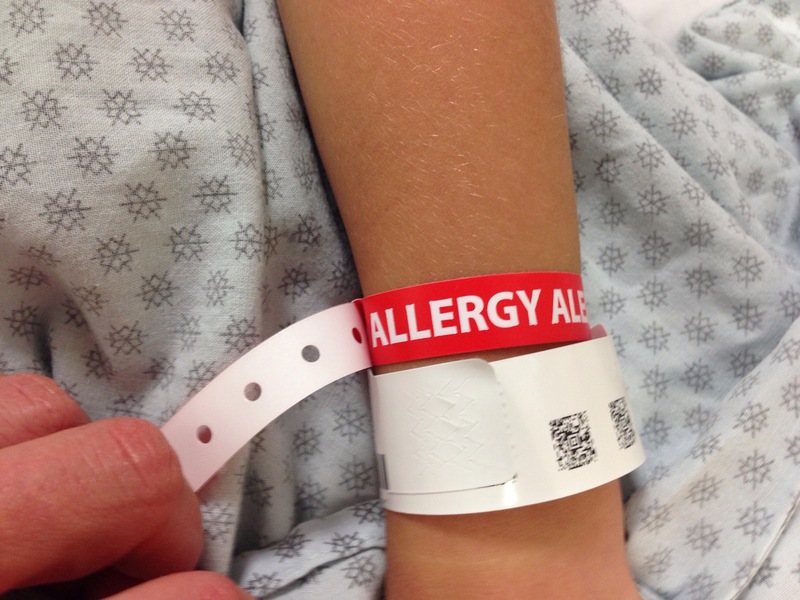 But now that he’s six, he’s finding ways to tell family and friends about his food allergy. Kids with food allergies will recognize themselves in Ben and the situations he faces – important for children who often feel alone with their allergy. This is a great book for your child to practice what to say to keep him or herself safe. Centered around two best friends, Paula and Regina. Regina wants a nut-laden cake for her birthday. Her friend, Paula is allergic to peanuts – causing problems for them both. The girls have an argument that is ultimately resolved when Regina realizes that having her nut-filled cake may compromise her friendship with Paula. And, Regina surprises her friend by ordering her birthday cake nut-free. The princess and pea analogy used to enlighten Regina works as a way of explaining that even the smallest bit of peanut could be extremely harmful to someone who is allergic to them. 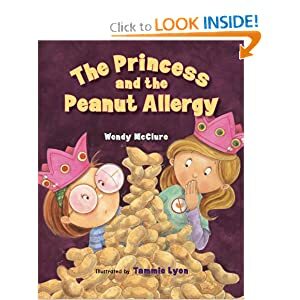 Importantly, the book addresses some of the social issues that can arise from having a food allergy and helps articulate conflict resolution in an age-appropriate way. Ages: 5-9 Grant is a new student at the Nutley School – where everyone enjoys PB&J at lunch. As a result, he’s forced to eat by himself at a peanut-free table. In an effort get to know him, the school offers an irresistible peanut-free cafe for anyone willing to give up their peanut butter. 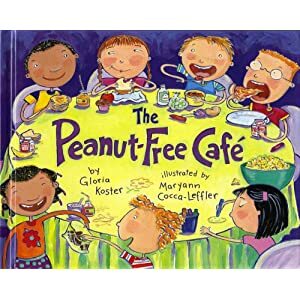 This story is clever and the idea of a creating a peanut-free cafe at our house and at his school greatly excited my son! As I look out my window, I’m surprised to see green again. Grass is finally peeking through after we received nearly 30 inches of snow. Even after all that shoveling, all I wish for is that powdery white. When February hits, all I want to do is ski. Maybe it’s a holdover from my childhood when we used to get a mid-winter February break – a kind of Pavlovian yearning to be cruising down the slopes this month. Either way, when I see snowflakes, I think trails. When my food allergic son was old enough, my husband (an avid skier) was ready to enroll him in ski school. But the idea of trying to manage food issues on a ski vacation seemed challenging. For one, ski lodges never seem that organized. I couldn’t imagine who I might track down to get ingredient information on their chicken nuggets, for example – especially at mid-mountain or higher. Secondly, there’s SO MUCH gear, etc to bring to the slopes, how was I going to carry (and where could I store and easily access) snacks and lunch for him if we brought some from home? Finally, could I reasonably rely on the ski school to look out for him at lunch vis-à-vis his food allergies? 1. Call ahead – way ahead. Ski lodges are not nearly as disorganized as I had thought. They’re just a lot more relaxed. But they take food safety seriously. Be prepared to leave a message and have someone get back to you. There is typically a food services manager who is knowledgeable about the suppliers and who can track down ingredients for you. Be sure to ask where kids in ski school usually eat and what kinds of food they receive (are they given snacks, do they have free range on the cafeteria line, etc). 2. Bring your epinephrine autoinjector and show up for ski school EARLY. Meet with your child’s ski instructor – teach them how to use the autoinjector and WHEN. Remind them that they will need to store it in an inside pocket of their ski jacket to keep it close to room temperature. 3. Find out where and when your child will be having lunch and consider meeting them to help them navigate the cafeteria line. But DON’T expect to eat with them! Skiing creates fast friendships and they’ll have more fun hanging out with their ski buddies – go have a lunchtime date instead! 4. Pack some safe snacks and store them in your ski locker, car or somewhere else that is readily accessible. Kids are STARVING when they get off the slopes and cafeterias typically close right when the lifts do. Now we just need some snow! Happy trails in the meantime! My husband, my father-in-law (a doctor) and I have been trying to manage next steps in what appears to a forthcoming EoE diagnosis. Ironic, considering last week was EoE Awareness Week, eh?! According to GIKids.org, Eosinophilic Esophagitis (EoE) is an inflammation of the esophagus. The wall of the esophagus becomes swollen with white blood cells called eosinophils. A person with EoE might experience trouble swallowing, pain, heartburn, nausea, regurgitation or vomiting. They may note mild symptoms like heartburn or more severe ones like the feeling that they are choking. It’s a relatively new diagnosis that doctors are still struggling to learn more about. This emerging health issue for my food allergic son has been brewing for at least the past year, growing steadily worse and more frequent each month. 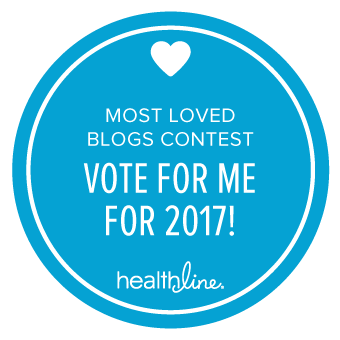 Originally appearing to be a classic case of acid reflux, my husband and I tried everything suggested to reduce his discomfort. We raised his head at night, tried to feed him earlier in the evening so that he had time to digest, stayed away from acidic foods as much as possible, and gave him acid reducing medication as directed by his pediatrician. However, his symptoms seemed resistant to medicine and relatively unphased by our other efforts. And, other symptoms were muddied with his food allergies and asthma. My son would complain of burning in the lower part of his throat. He began wheezing within only a few minutes of laying down at night. He began complaining of pain (actual pain) in his stomach. His throat felt “weird” after having dairy (to which he’s no longer allergic, but that symptom is always scary to food allergy parents!). And, started articulating a sensation that finally rang my alarm bells on EoE: he felt like he had something stuck in his throat. We immediately went back to the pediatrician who ruled out a number of conditions like celiac disease and quickly thereafter booked an appointment with a pediatric gastroenterologist. One Upper GI (where they watch barium travel down your esophagus and into the stomach via x-ray) and one Upper Endoscopy later and we’re only a *little* closer to figuring this thing out. 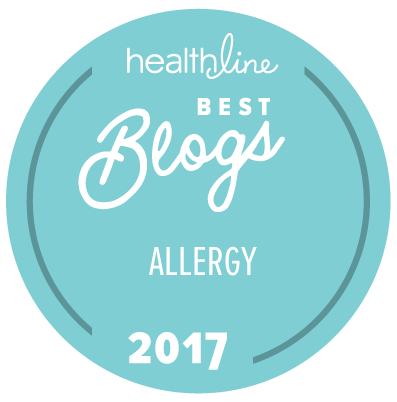 EoE is more common in patients with food allergies and other allergic diseases (like asthma) and far more common in males than females – although the connections aren’t clear. While his doctors rule out causes, his symptoms persist and we have more endoscopies, food challenges and allergy tests (I almost can’t believe it) on the horizon. I’m certain many of you have already gone through this cycle of testing and I would love to hear your experiences and any advice you have to offer. Ahhhh… with great weather upon us, it’s time to hit the road! ‘Tis the season for road trips and long weekends away. And, being on the road is no place to be unprepared for dealing with meals if you have a food allergic passenger. Aside from packing loads of safe snacks to tide the kids over and my son’s medicine, we never leave home without our Travel Packet. A little general research in advance has gone a long way for us. Not just of our destination – to help us pick a safe place to eat when we get to town (wherever that may be) – but research to help us on the road as well. Over time, I’ve kept a folder of allergen and ingredients lists for fast food chains in our car. It has been immeasurably helpful when the kids are begging for a break somewhere in between destinations. And, it’s easy to start the process online. As you continue to travel, take note of the chains (and local stops) on your route. Once you find new ingredients lists, continue to keep them in your travel folder. By sharing tips and links, your Travel Packet will be fuller than your gas tank and will make your vacation just a little more peaceful! Happy trails!